I have a birthday/basketball order to show you guys today! 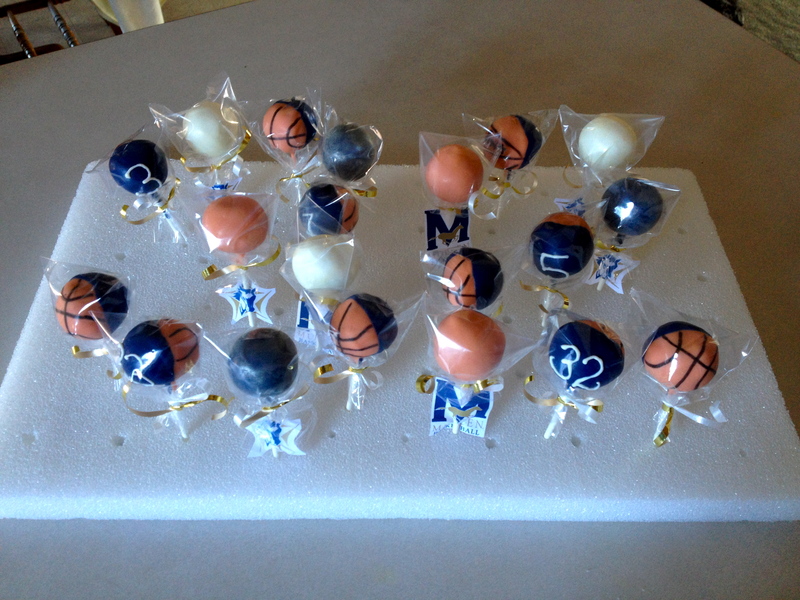 These cake pops were for a Mullen High School basketball player for her birthday. Her father contacted me to make a surprise order for her and her team mates, as she had a game on her birthday and they were going to bring them out after the game for the girls to enjoy. I hope everything went as planned for them, and that she loved them! I am also VERY aware that at a first, quick glance these look like broncos cake pops. 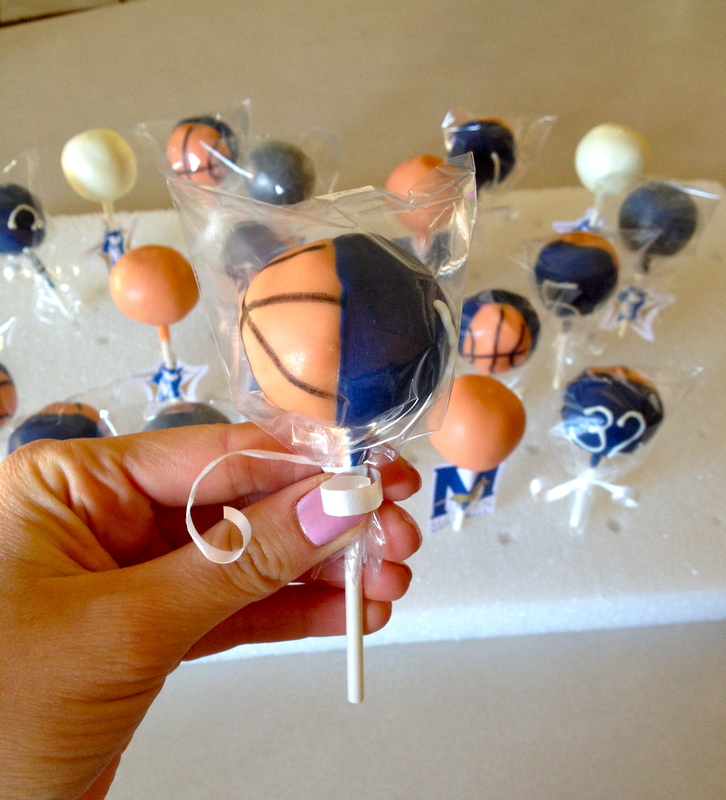 I am not one who really cares about football, or the Super Bowl, but they could easily be made into broncos cake pops, for those of you who feel tricked after seeing the pictures. haha They could be a great addition to that super bowl party this weekend. 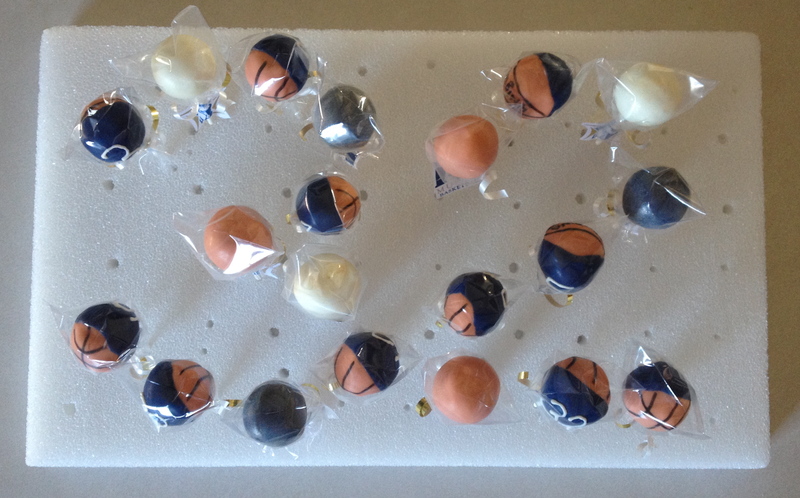 Also check out these football cake pops . I love the way they turned out. The school colors are navy blue and gold, so I incorporated some gold with gold dust and gold ribbon. I also wanted to add some of the Mullen mascot, so I printed it out and put them on some sticks. Then orange, for the basketballs. Each girl had their own with their number, and a basketball on the other half. These would be great for any sport. Whether it is a professional or high school team, they will be a hit.